Let’s just get this first bit out there: Later this month I will be the closing keynote at a conference where Beverly Jackson from MGM is the opening keynote. BAM! Seriously, Beverly is the epitome of “supercharged” and is a can’t miss speaker. On top of that, Apple co-founder Steve Wozniak will be keynoting as well. I feel pretty lucky. In fact, I feel supercharged! Maybe after reading this post, you will too. 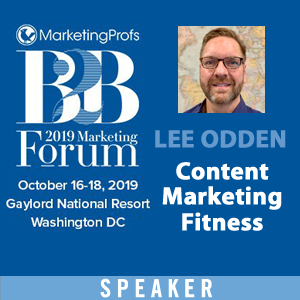 There’s a pretty impressive roster of speakers and expertise that will be presenting including Carlos Gil, Mathew Sweezey, Amanda Nelson and Oli Gardner plus a few faces from my SEO days that I have not seen in a while including Michael King, Janet Driscoll Miller and Jim Boykin. Did I mention the event will be in Phoenix during February while it’s still a proper Winter in Minnesota? Big brands are in the house too, with speakers from SAP, GoDaddy, Salesforce, Facebook, Google, Forrester, Best Buy, BMC, IBM and AOL. And you can’t have a digital marketing conference without someone from The Onion and the CIA as well, right? 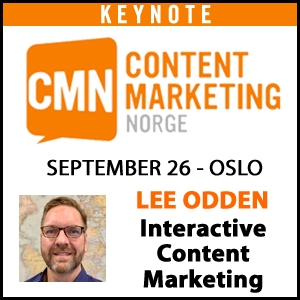 Topics include: Digital Strategy, Content Marketing, Storytelling, Digital Creativity, SEO, Email Marketing, Video and Livestreaming, Social Selling, Landing Pages, Marketing Analytics and Measurement, SnapChat, Market Intelligence, Customer Centricity, Marketing to Millennials, and of course, Influencer Marketing. Oh, and did I mention that it’s 75 degrees in Phoenix right now? Enough with the influential speakers and topics, what else is going on at this conference? Plenty, including fresh digital marketing content to kick off 2017, networking opportunities with experts and a mix of attendees trying to figure this digital thing out just like you are, I’m pretty sure an open bar, great food and a special meet-up with Steve Wozniak. Content is both king and kingdom in the marketing world but what good is great content if no one sees it? Confronted by information overload, distrust in advertising and the growth of ad blocking, successful companies are adding an essential ingredient to their content marketing mix: influencers. By co-creating content with trusted experts that have active networks, brands increase both quality and quantity of credible content that is trusted by customers and stands out from the competition. 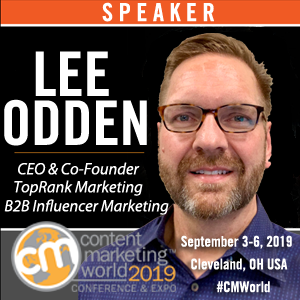 This presentation will outline a framework, best practices, tools and examples for integrating influencers with content marketing that will help marketers attract, engage and convert more customers. While working with influencers isn’t all that new, the way successful companies do it has changed and the topic is blowing up! 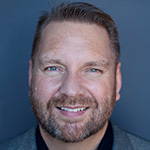 At Digital Summit I am excited to share advice that is the result of our team having provided influencer content consulting for organizations as big as three different Fortune 50 companies and as small as an online store for Pandora at the Mall of America. New influencer marketing research! 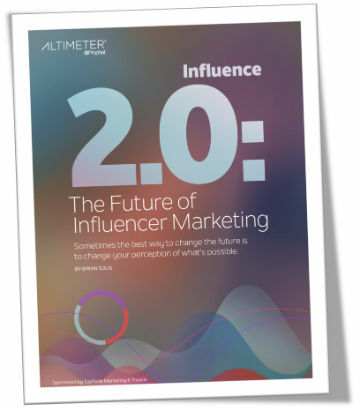 The many influencer content engagements and ongoing relationships that we’ve developed is a great backdrop for the new research we just published with our friends at Influencer Relationship Platform, Traackr, with analysis by Brian Solis of Altimeter, “Influence 2.0: The Future of Influencer Marketing“. 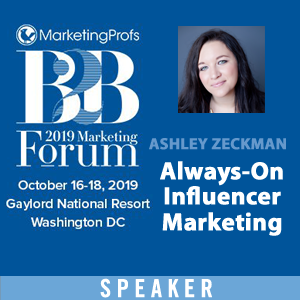 I will be sharing trends and key data points from that research along with stories of influencer marketing failure (I mean lessons learned) and success. 71% of enterprise marketers view their influencer marketing as strategic or highly strategic and yet, only 24% of marketers are running ongoing influencer programs with just 10% of overall marketing budgets. 31% of B2C marketers are experimenting with influencer marketing and 48% run ongoing programs. This is in contrast to B2B where 49% of marketers are experimenting and only 11% run ongoing influencer programs. 57% of marketers say influencer marketing will be integrated in all marketing activities in the next 3 years compared to only 5% claiming full integration today. That’s a lot of optimism for influence beyond adding celebrity endorsements and famous people quotes to brand content. For entertainment and what not to do, I’ll share several of the trials and tribulations experienced with short term, disconnected efforts towards influencer engagement. For the success stories, I’ll talk about how a small business recovered from 70% ecommerce losses within 4 months by leveraging influencer content. I’ll also share a story of a very large brand that was able to use content collaboration projects and campaigns to evolve into an active influencer community. Overall, I think it’s going to be an excellent event and I hope to see you there!